Today on high school campuses across the country, students walked out of classrooms, standing in solidarity to protest for safety in our nation’s schools. At Albright College we are committed to developing and supporting a thriving, well, supportive, equitable, and empowered community. Part of achieving this institutional priority is encouraging the Albright community and those who hope to join it to participate in civic engagement, acknowledge the voices and perspectives of others, and to not live in fear of consequence when that engagement is conducted peacefully and respectfully. In February, the Office of Admission joined other colleges and universities across the country in releasing a statement related to these priorities and values. 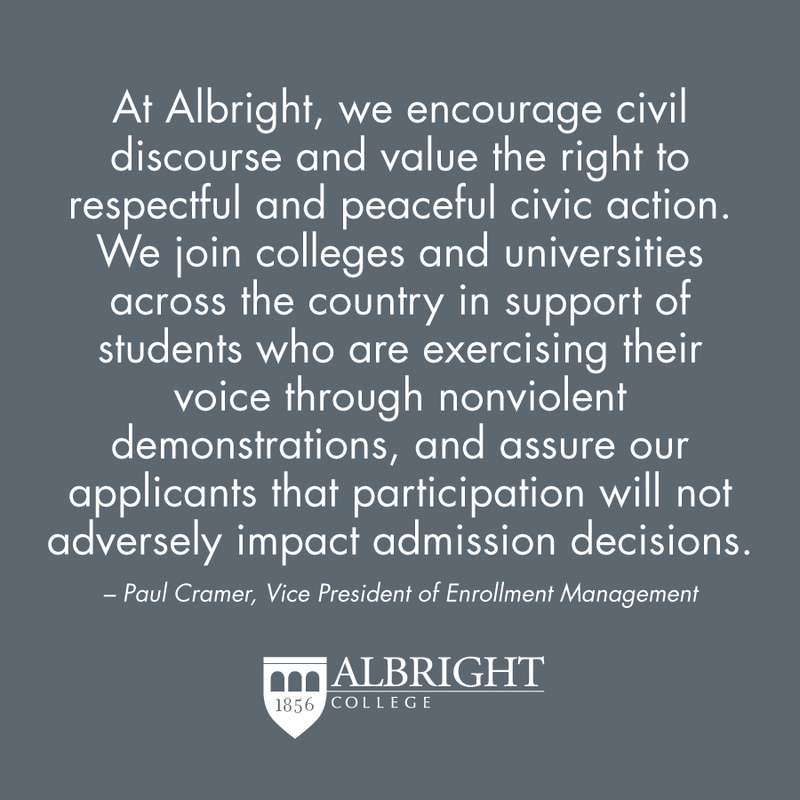 This statement, supported by President Fetrow and Cabinet, asserted that engagement in respectful and peaceful civic action will not adversely impact the admission decisions for prospective Albright students. The full Albright Admission statement is here.